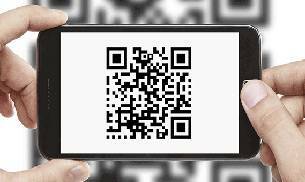 Bharat QR code launched: Know about their features. In a bid to push cashless economy, the Union government recently launched the Bharat QR code. Bharat QR code will use QR codes system for payments across all merchant outlets. It is the world's first interoperable payment system. A consumer will simply have to open his/her banking app or BHIM app in their phones. Then, they need to scan the merchant's QR code and enter the amount that they have to pay the vendor. Lastly, they will have to enter the four-digit code to authenticate the transaction. Once the transaction is complete the said amount will directly be credited into the merchant's account. Both the merchant as well as the customers will receive instant notification regarding the same. This method would eliminate the need of PoS machines on a merchant outlet.